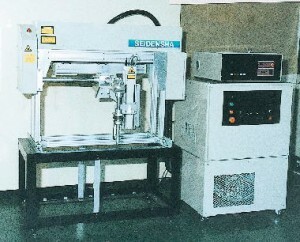 CO2 Laser Cutter - SEDECO USA, INC.
A Laser is an artifical light obtained by controlling the quantum movements of atoms and molecules. Due to its excellence in monochrome and directivity, enormous energy can be converged to a minute point less than 0.1 mm in diameter by focusing the the light. When the target material is irratiated, it is heated, welded, and evaporated instantly. 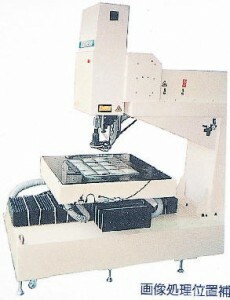 It is this principle that makes the CO2 laser ideal for drilling and cutting plastic components. 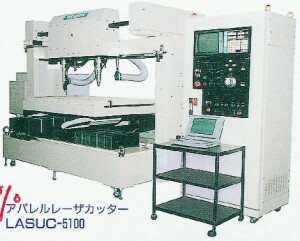 Seidensha’s laser units are all custom-built to meet customer parts size specifications and floor plans. 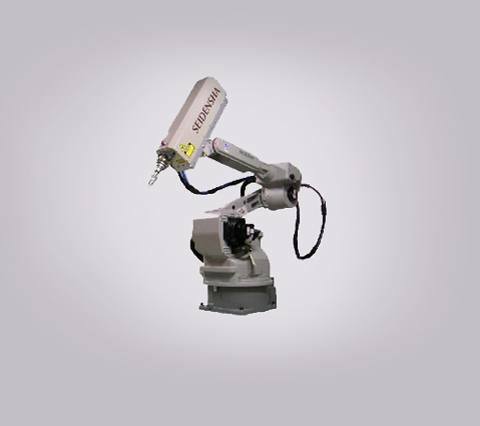 We are able to integrate our laser units onto most major robotics brands with your choice of PLC and robotics controls. Please contact us to learn more about these selections. All laser enclosures and safety systems meet and exceed OSHA standards for optimum safety precautions.